Weeks ago, I told few of my APC friends that the fight against Ebola was not about cynicism. Rather, it should be a collective, genuine effort in tackling a virus which has caused so much pain to citizens, who were already going through so much hardship. Before Rtd. Brig. Julius Maada Bio left London to join the fight against Ebola, there were few people who went as low as saying that Bio could not afford a flight ticket; whilst others, out of ignorance, wrote that the UK Border Agency would not allow Bio to travel. But most often, at a time of national tragedy which has devastated lives, a statesman worries more about the lives of millions of people rather than few “human irritants”. When Bio arrived in Freetown, the following Monday he kept to his promise of joining the Government in the fight against Ebola, and held a fruitful discussion with President Koroma. It was one of those rare moments in our politics, when partisanship gave way to statesmanship. For many people who are fed up with politics, it must have been admirable to know that two men – either of whom could have been President less than two years ago, can now set aside politics and have a conversation about a deadly killer, which does not choose whether one is an SLPP or APC supporter. And as you would expect, President Koroma in a subsequent press briefing, commended Rtd. Brig. 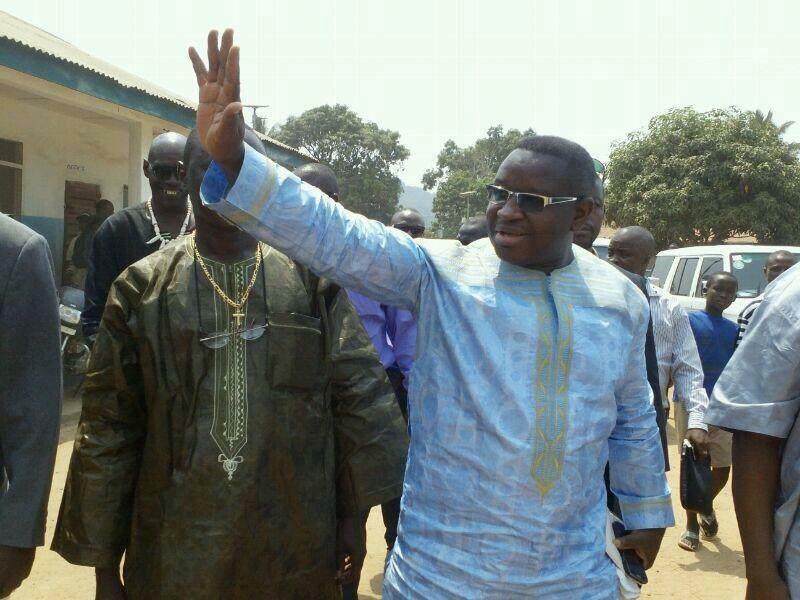 Julius Maada Bio for joining the fight against Ebola. Days after that State House meeting, our usual friends in their usual antics, published front page comments claiming that Bio had returned home empty handed. But unlike many politicians, the Rtd. Brig. Julius Maada Bio never gets too bothered with the usual antics from pro-APC newspapers – whether it is based on ridicule or blackmail. Bio is a very serious politician, and always wants to focus on what needs to be done to make a difference to ordinary poor people and the country at large. Before, Bio travelled to Sierra Leone he had launched the Maada and Fatima Bio Foundation in London, which has raised thousands of pounds in proceeds. Whilst Rtd. Brig. Julius Maada Bio was in London, as the ebola deaths increased and with reports in newspapers of the agonising suffering of Ebola victims, Bio had planned that all proceeds raised from the foundation launch, will be donated to ebola victims across the country. He is politician who gives everything he has to lessen the sufferings of his fellow citizens. Hence, the idle-talk that President Koroma may have given Rtd. Brig. Julius Maada Bio money to make ebola donation, is at best laughable and at worst utter nonsense. It shows the extreme to which few people can go to smear others, out of political desperation, shamefully at a time when we should all concentrate on our contributions in eradicating this deadly epidemic. Therefore, the donation of the 320 bags of rice to Ebola victims across the country – including the recent presentation of the 50 bags of rice plus condiments and water to Port Loko, Makeni and Magburaka, symbolised Bio as a man who is both compassionate and generous. The additional Le25 million donation to set up an Education Support Fund for Ebola Orphans as a maiden project of the Foundation, epitomised the strong belief of Mr and Mrs Bio (as caring parents) that orphans should have the same opportunities in life as children with parents. Ironically, the Minister of Social Welfare, Moijueh Kaikai chose the most inappropriate of times to play petty politics, rather than following President Koroma’s call for the Government to embrace all efforts in the fight against this deadly virus – especially with such an initiative targeting ebola orphans. The Rtd. Brig. Julius Maada Bio made his ebola donations not because he is the richest politician; far from it, there are many politicians or people with political ambitions who are far richer running businesses, corporate entities or have made lots of wealth in politics who have not done as much as what Rtd. Brig. Julius Maada Bio has done for Ebola victims. It is a reminder that in Politics, it is not about how much wealth a politician or people with political ambitions has; rather it is how much a politician can give to his people to alleviate their sufferings, thereby making a difference to their lives. There was also the attempt to play petty politics by the usual few, after Bio’s initial rice donation in Bo. They accused him of donating many of the bags of rice in the Southeast as opposed to other parts of the country. But the recent presentation of 50 bags of rice to Port Loko, Makeni and Magburaka must have left no one in any doubt that as a politician with a national appeal, Bio cuts across tribes and regions. 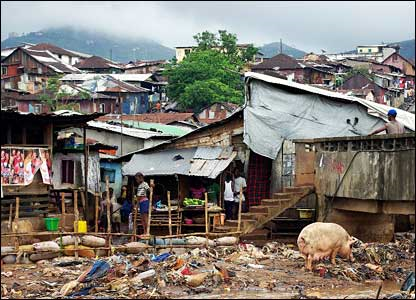 In a national crisis, the suffering a quarantined family experiences in Port Loko will not be any different from the suffering a quarantined family experiences in Kenema. The only difference is both Kailahun and Kenema have had more quarantined families and numbers of confirmed cases than any other district; hence they received 100 bags of rice each. We cannot have a situation in which districts which have been most affected by ebola receive less or about the same funding as districts which have recorded lower numbers of ebola cases. It is absurd. So for our friends, the on-going fight against Ebola goes beyond politics. 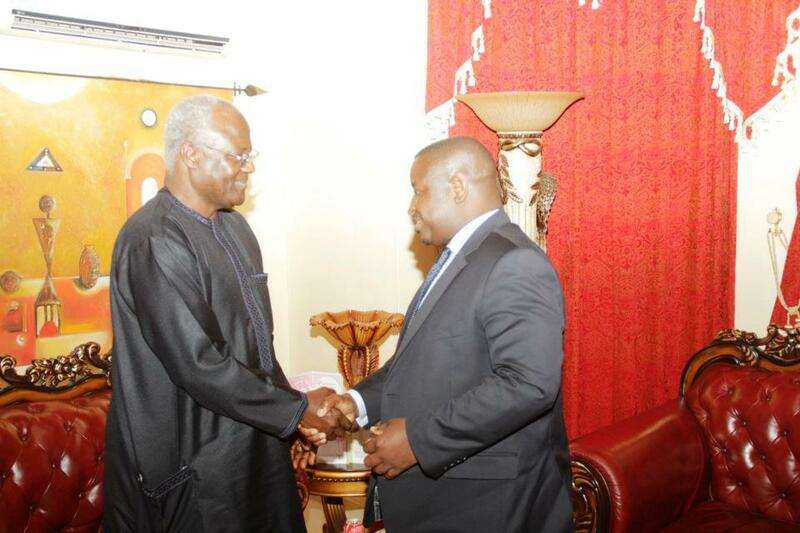 It is not about President Koroma, Rtd. Brig. Julius Maada Bio, SLPP or APC. It is about the lives of citizens who have been traumatized by the increase in the deaths of their compatriots. It is about the family, as I understand it, in Giema Dama, in Kenema where a pregnant woman, a lactating mother and five children are being quarantined, yet they complained of lack of food supply. It is about a grandfather in Njala Ngiema, in Kailahun, who now lives with 15 grandchildren who have become orphans as they lost their parents to Ebola. It is about a certain family in New London in Makeni, where a few days ago, I read on social media that out of twenty four family members, fourteen of them died in fifteen days to ebola. But the fact that we should set aside the politics in the fight against Ebola, it does not mean that people should not ask legitimate or serious questions about Government’s handling of the fight against ebola. For instance, you have the Minister of Information – Alpha Kanu, telling ITV News in the UK that the proposed “lock down” or “House-to-House” sensitization was on the advice of the International Community and a number of health and humanitarian organisations including Red Cross and Medecins Sans Frontieres, but yet on the very day – Medecins San Frontieres disassociated itself from the government decision, by telling the BBC News that the “lock down” would force people underground, destroy the trust between doctors and the public and ultimately help in spreading the disease. 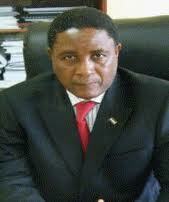 Why did the government fail to quarantine Kailahun at the initial stages of the outbreak? 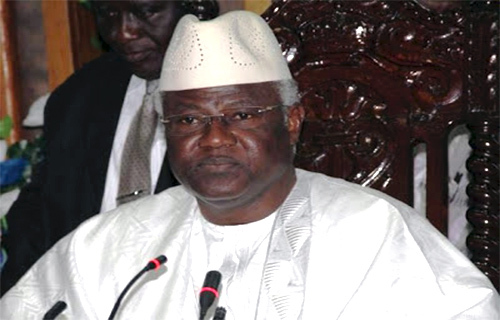 Why did President Koroma wait so long to visit Kenema and Kailahun after many lives had been lost? Why did President Koroma wait so long to declare a state of emergency after ebola has caused so much devastation? Why did President Koroma wait so long to sack Miatta Kargbo when it was obvious she lacked the capacity to provide leadership at the Health Ministry? Why did President Koroma have to wait until after the nurses’ strike for better conditions of work before he had to announce more incentives for health workers? With the billions of Leones donated for the ebola, why are some quarantined families still complaining of not receiving food supply? I know many others will have more questions after we eradicate ebola, and we have to get that debate so that we can learn the lessons for future outbreaks. But until then, as the nation shows its appreciation to our international partners, aid agencies, donor countries, corporate institutions, government agencies, generous citizens and civil society organisations that have made immeasurable contributions in the fight against ebola, the people will always remember a senior citizen who returned home in the middle of a national health crisis, in response to the suffering of quarantined ebola families, with hundreds of bags of rice, plus water and condiments, and established an education support fund for ebola orphans – Rtd. Brig. Julius Maada Bio.